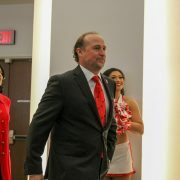 dos Coogs is back for some thoughts on Dana Holgorsen’s new staff. Today, we look at the defensive philosophy as well as our picks for most interesting new staffers. What are your thoughts about the new defensive philosophy? My initial reaction is that I am excited about the defensive staff. In researching these guys, the two things that stand out are aggressiveness and intensity. Those have been lacking on Cullen since Todd Orlando left. I like that Cauthen’s defense gets after it and makes plays in the backfield. And I really like that his defenses have improved year over year. When Cauthen went to Arkansas State they weren’t a terrible defense: they were solid in some areas and lacking in others. You can see that they improved across the board during his tenure. The numbers that have me the most excited are the negative plays his defense created and the turnovers they caused. This started as soon as Cauthen got to Jonesboro. I have read a lot about his aggressive defenses and these numbers 100% confirm it. From the get-go, his defenses were tough on 3rd down and making a mess of the opponents’ backfield. 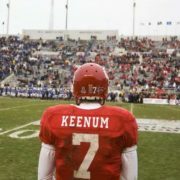 If he can bring that same style to UH, we can win a ton of games. The thing the Coogs have lacked the last couple of years is the ability to get off the field. Cauthen’s defenses get off the field and get the ball back in the offense’s hands quickly. When the defense can give the ball back to the offense, we are going to light up a lot of teams. I’ve talked to a lot of UH fans that are ambivalent about the Cauthen hire but it makes sense for a lot of the reasons Brad laid out. Getting off the field is key. But there’s another reason to like it: Cauthen has focused on getting young, hungry assistants that excel in recruiting. Blake Gideon, Zac Etheridge, and Doug Belk are all very good recruiters on the defensive side of the ball and should help restock a somewhat depleted UH roster. When combined with Tyron Carrier and Brandon Jones, that’s a lot of under-35 coaching talent that can recruit and connect with HS players. We won’t be seeing many of the 0- and 1-offer recruits that we did under Major. Who is the staffer that you’re most interested in? 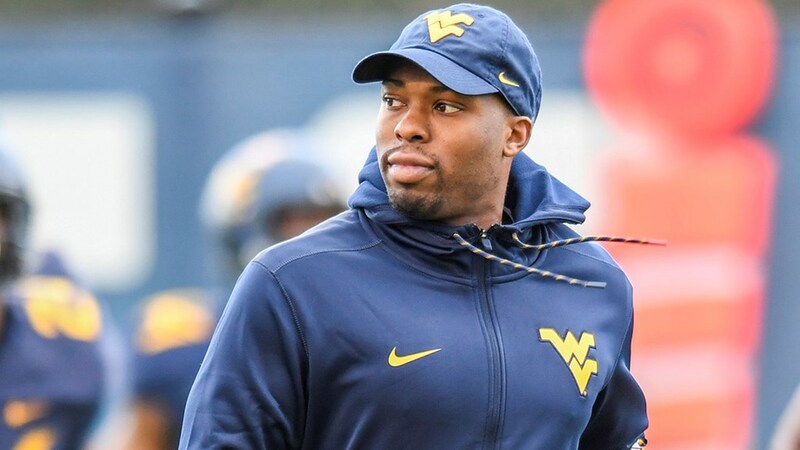 Monceaux: I want to focus on Doug Belk – one of the assistants that followed Dana from WVU. 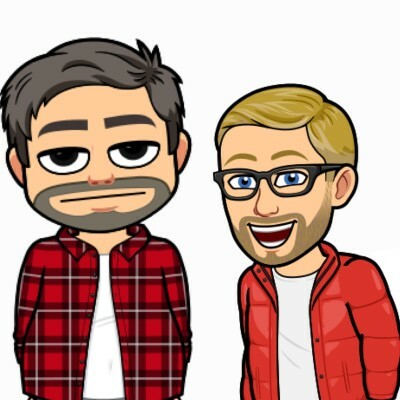 Belk has done a great job of getting players out of Georgia and was one of WVU’s best recruiters (Carrier was the other). 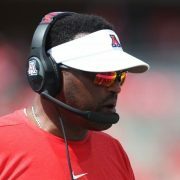 He’s co-defensive coordinator and will coach cornerbacks at UH. Corner will be a make-or-break position for the Coogs in 2019. Currently, there are just 5 corners on the roster. UH is working to get a JUCO corner in school this semester (Highland CC’s Damarian Williams) but there’s still a big and immediate need for quality at the position. Major Applewhite and staff did a poor job of preparing for the future at corner – the 5 guys on the roster combined for just 16 tackles in 2018. I’m curious to see what Belk can get out of this group of inexperienced guys – and if we can add some depth before fall camp. Towns: The one hire that has me the most excited is Darl Bauer as S&C coach. I have read a lot about him and watched and listened to a few of his interviews and he is impressive. The head S&C guy is the core of the program and he is the guy that truly sets the tone for the team. Intensity, toughness, focus and accountability are vital and this guys seems to have it and instills it in his guys. There have been a lot of excellent endorsements from former players but this one stood out to me. I love that. It takes me back to when I was playing and training with UH’s S&C coach in the mid-90s, Lou Hernandez. I hated him every minute but he was busy re-defining what our limits were. But looking back, there is no man at UH that I respected and admired more than that guy. Coordinators and position coaches are going to develop your skills and put you into a position to succeed. But S&C coaches are going to train your mind and body to do more and be more than you ever thought possible. Just two goofballs talkin' about the Coogs.